Comparison sites have invested heavily in digital marketing and succeeded in becoming very visible in recent years. They now have a dominant presence in many sectors, including finance, telecoms, insurance and travel. 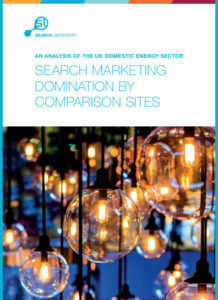 We undertook some in-depth research to get a detailed understanding of the techniques that have proved most successful for comparison sites, using the UK domestic energy sector as a case study. We identified three key factors behind their dominance. This is a UK whitepaper and in our report, we outline the opportunities for marketers to outrank their comparison site competitors.